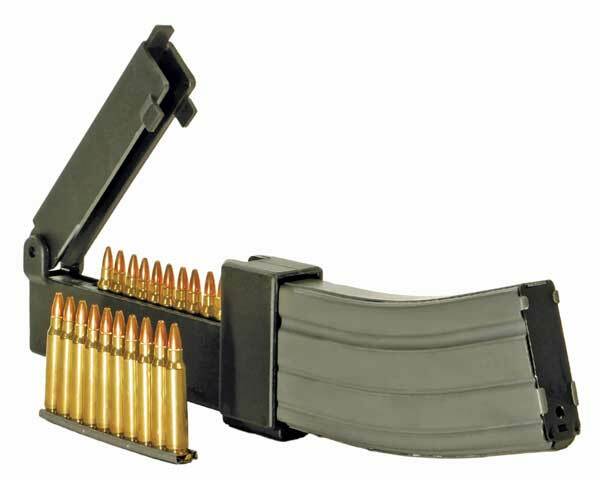 The Cammenga Easy Loader lets you rapidly reload your AR Rifle magazine. This auto loader is used by fighting forces and sport shooters everywhere. Quickly loads high capacity magazines without fatigue or frustration. High impact-proof nylon fiberglass case resists heat, cold and corrosion. For use with .223/ 5.56mm already loaded on 10 round military strip clips. Will quickly load most AR Assault Rifle .223/ 5.56mm magazines. Model REL223SC. See the Cammenga Easyloader in action.